So school has begun and for just about everyone, that means getting back into a routine: work, getting the kids up on time, helping them with homework, taking them to extracurricular activities, and back to a normal sleep schedule. During the school year, we get much busier (and therefore, a little more stressed out), and sleep seems to usually go on the back burner. Whether you’re staying up late with your kids or staying up late without your kids just so you can sneak in some alone time, most likely you’re not getting the sleep your body and brain needs. And then when it’s finally time to crash, your brain decides it wants to party. As you’ve probably heard a thousand times, sleep, along with diet and exercise, is actually the thing that helps the rest of our lives move forward, and therefore must be treated with the utmost importance. You gotta sleep, momma! 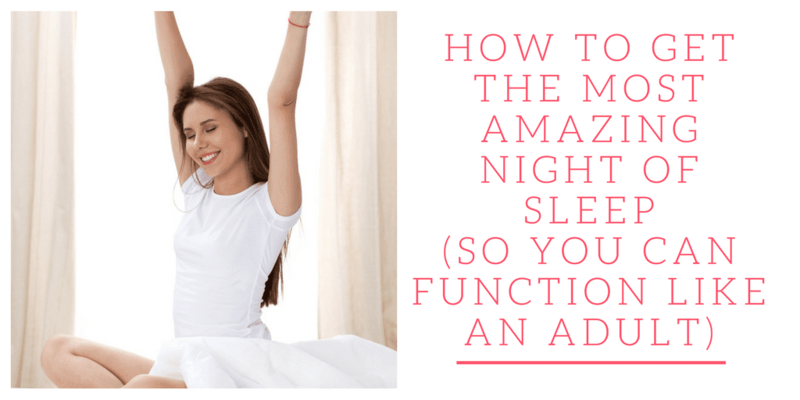 Here are some ways to get the most amazing night of sleep after a busy day. Try to not drink anything caffeinated after you get home. This will throw off your internal clock and affect the amount and the quality of sleep you get. Stick to water as much as you can. Avoid late naps. Just like caffeine, this can affect your ability to sleep by keeping you up late or waking you up in the middle of the night. 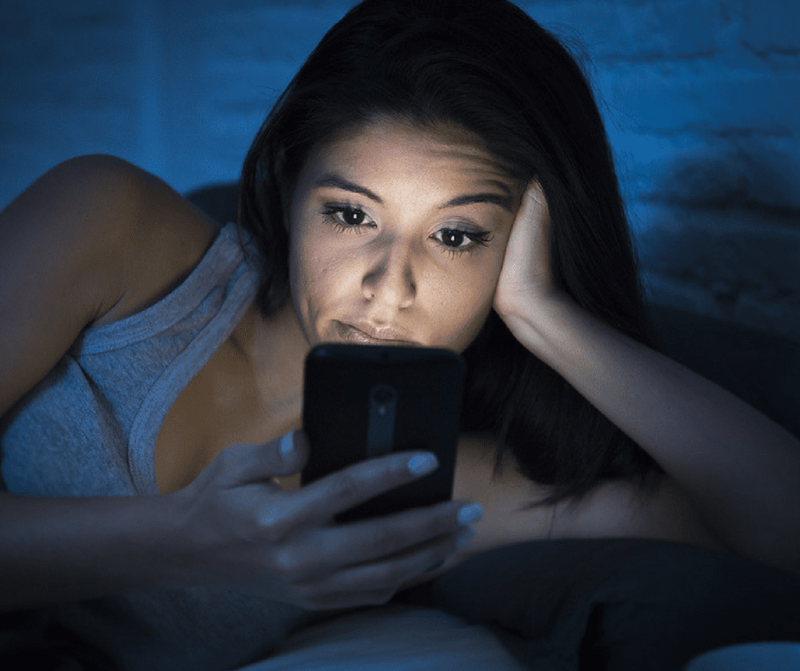 Avoid watching TV or being on your phone a couple hours before sleep. This is hard. I know! Especially in our digital day and age. But…the blue light can dramatically affect your sleep and make you feel more awake when you are actually in desperate need of sleep. Try reading a book like one of these on simple living. Don’t work in bed. Your bed should be a peaceful place, and while it’s easy to get in bed with your laptop and start working, it can actually make your stress worse when you’re trying to sleep. Get some comfortable bedding, some fluffy pillows, a candle, and whatever else you need to make your bed a relaxing place. Be careful about what you eat before bed. Eating a large snack or meal before bed actually does affect how you sleep. Stick to light snacks like one of these healthy snack ideas. Dim the lights. Light acts as a signal to the body to get up and get going. You don’t want that when you’re trying to sleep! Dim your lights 2-3 hours before bedtime so your body isn’t exposed to too much light. The dimmed lights actually help your body produce melatonin, the hormone that promotes sleep in your body. Meditate. Meditation is a fantastic way to get your body and mind ready for sleep. You can just lie on your back in your bed, close your eyes, and relax, or you can use an app for pre-made meditations. Stop Breathe Think, Headspace, Aura, and Calm are among the thousands of meditation apps you can use. Take a melatonin supplement. If you are having a lot of trouble going to sleep, try taking a melatonin supplement an hour or two before bed. Not too much, though! Try taking tablets of melatonin with 1-3 milligrams in each tablet, and see how your sleep is affected over a few weeks. However, exercise caution, and ask your doctor if taking a melatonin supplement is right for you. Drink tea. 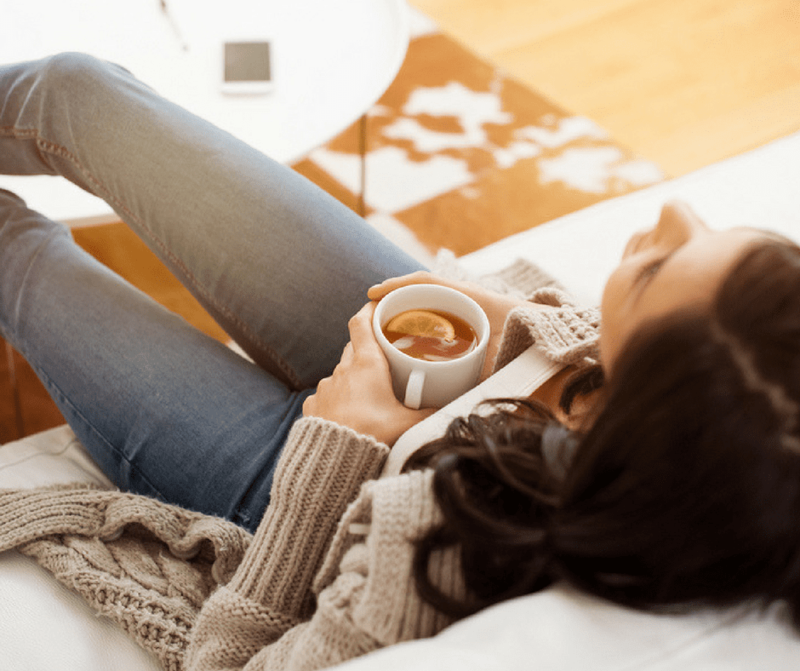 There are certain teas that contain herbs that can naturally help you relax and fall asleep faster. They contain things like lavender, lemongrass, passionflower, chamomile, and spearmint. I hope you’ll try putting some of these tips into practice and get some of the best nights of sleep ever. I am so guilty of late naps after work! And also being on my phone before bedtime. I really need to be better at this.